We got over a foot of snow over the weekend. It’s already disintegrating into a yucky pile of slush, now that a new weather system has moved in with warmer temperatures and soaking rains. 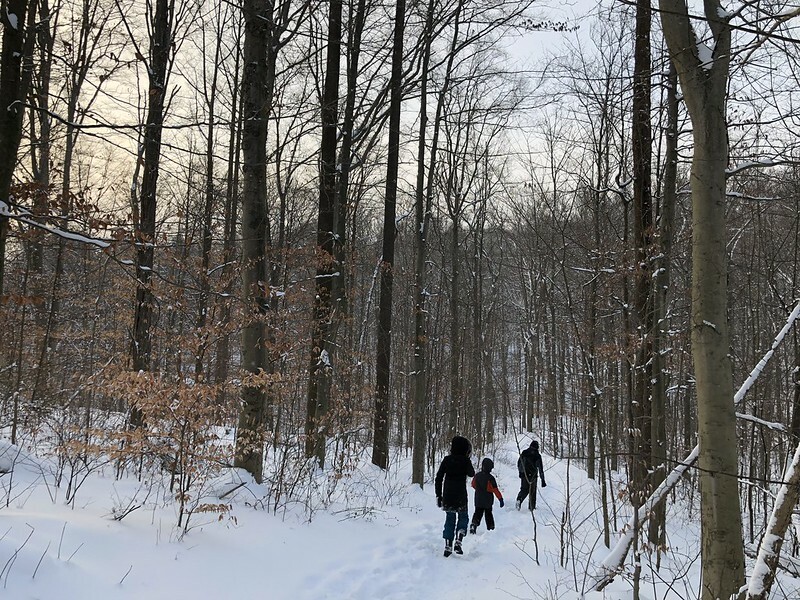 Fortunately, though, my kids and I got to go on a winter hike before the melt. 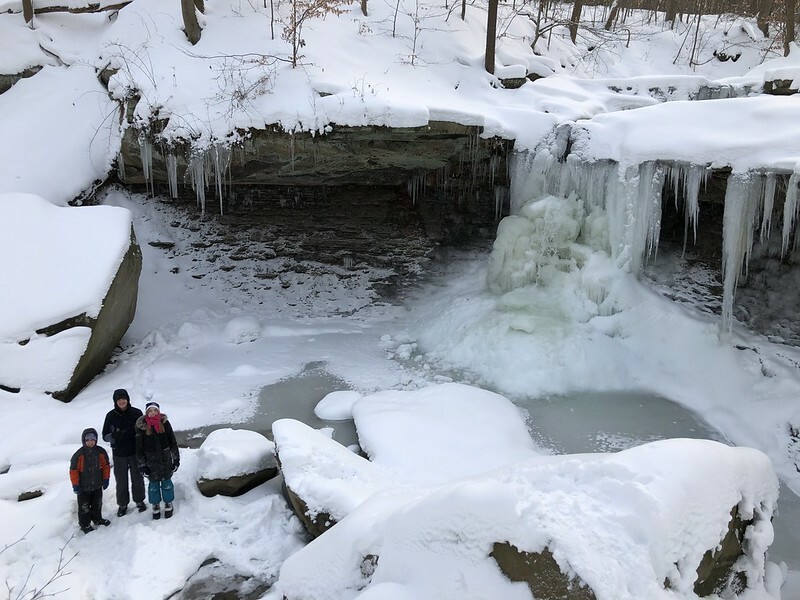 Our destination was a pretty little waterfall in the Cuyahoga Valley National Park called Blue Hen Falls. 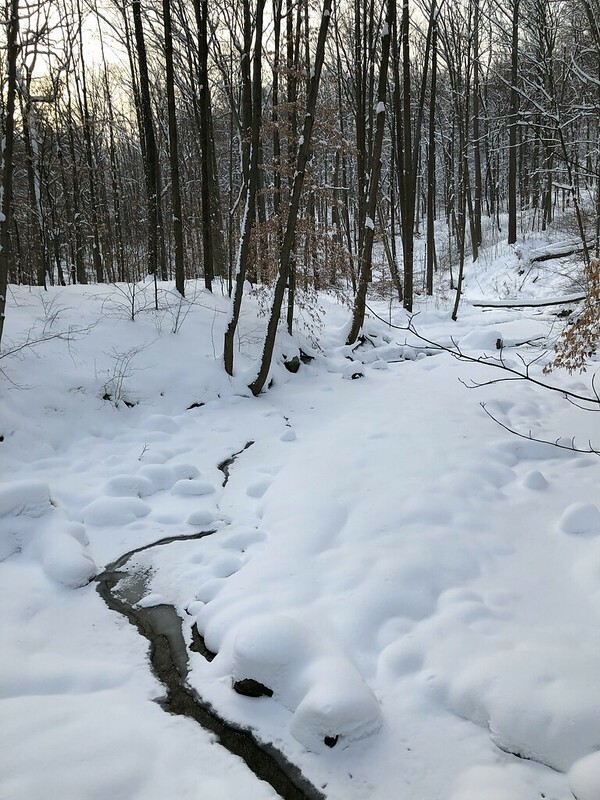 It’s a lovely spot, situated along a rugged section of the Buckeye Trail. But it’s also relatively easy to access, with a parking area less than a quarter of a mile from the waterfall and a sturdy bridge over the stream that feeds the falls. I’ve visited this spot during other times of the year, but I appreciate it even more now that I’ve been there in the winter. I also understand now why it’s called Blue Hen Falls. 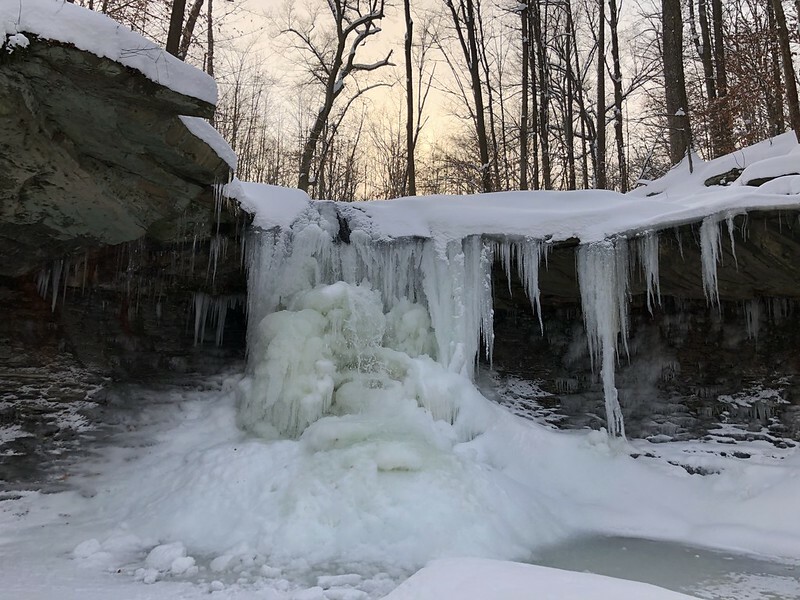 When the waterfall freezes, it takes on a remarkable blue color (the pictures don’t really do it justice). And there’s also something about the dynamics of the waterflow that cause the ice to pile up in this squat, rounded, fluffy shape that is quite reminiscent of a bird on its nest! It was especially enjoyable to see the falls right as the sun was starting to set to the west. After we returned to our car, we did a little bit of sledding right there at the trail-head. We helped another family whose car got stuck on the crude driveway from Boston Mills Road to the parking lot. And then we drove home through the deepening darkness. 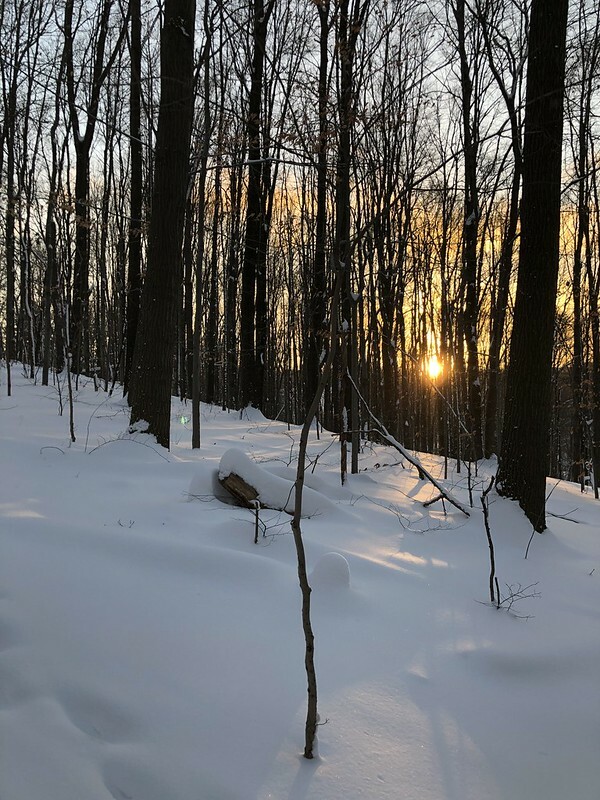 This entry was posted in Children, Cuyahoga Valley National Park, Family, Photography, Recreation, Weather. Bookmark the permalink.